“Second Chances” by Lincoln Cole is a contemporary fiction novel that deals with many social issues relevant to our current times. When her mother disappears one day after going out to run an errand, Nichole is left to run the household and raise her siblings, all the while attending college and working as an intern at a prestigious law firm. Juggling these many responsibilities, Nichole is soon overwhelmed and doesn’t know where to turn. Richard, a friend, and the lawyer that gave Nichole the internship wants to help, but quickly finds that doing the right things for the wrong reasons isn’t always the best way to help. Nichole and Richard both find things going terribly wrong and quickly spinning out of control. Can they each give the other a second chance to overcome their obstacles? This is a powerful book! Cole spins an intricate tale of love, loss, injustice, addiction, and heartbreak, captivating me from the first page until the very last sentence. It is a powerful story that is fully relatable and significant in today’s world. The depth of the characters allows the reader to become fully absorbed and invested in the outcomes. The social issues presented are important, and I appreciate the author’s use of blunt honesty as his characters tackle their hurdles one at a time. My thoughts keeps wandering back to the word powerful, as I feel it is the best word to depict the story, and in my mind I am underlining and bolding the word for emphasis. Powerful! 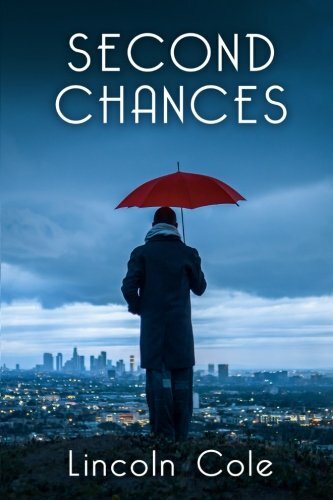 I highly recommend “Second Chances.” It is an unforgettable novel certain to entertain and enlighten readers and fans of all genres. Lincoln Cole is an extremely talented storyteller and as his newest fan, I look forward to seeing more work from him in the future.